Ace belt driven pumps are available in a variety of models which can be belt driven or direct coupled to a power source. 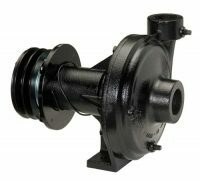 The pumps are available in either clockwise or counterclockwise rotation. 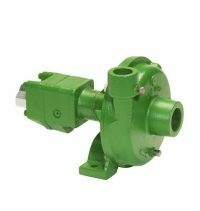 The standard bare shaft pumps are designed with a keyway for mounting a drive pulley or coupling. 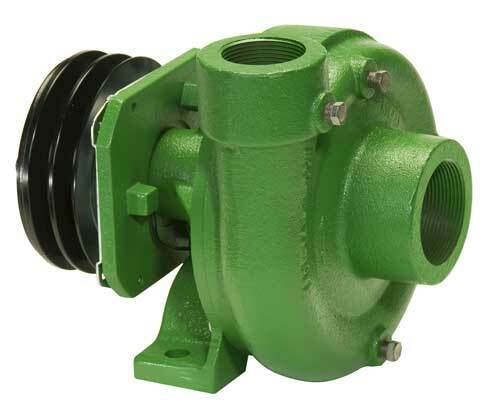 The integral magnetic clutch driven centrifugal pump design was first offered by Ace in 1982. 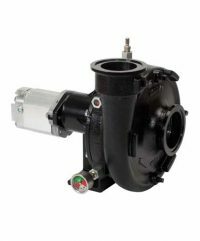 These models enabled the operator to free the PTO shaft and hydraulic system for other uses. The 12 volt DC magnetic clutch is driven by a v-belt from the engine drive shaft. The clutch is idle until engaged by an on-off toggle switch located at the driver’s seat. 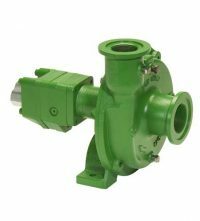 Ace magnetic clutch driven frame mounted centrifugal pump models are available with counterclockwise (CCW) rotation and clockwise (CW) rotation. The direction of rotation is determined when facing the shaft. Sizes available are 1-1/4” x 1”, 1-1/2” x 1-1/4”, and 2” x 1-1/2”.